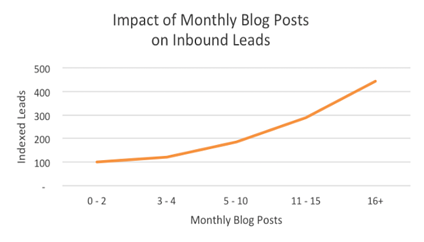 HubSpot has developed a superior reputation for providing online marketing solutions that cover all types of inbound marketing strategies. A HubSpot partner network was established to certify marketing firms that utilize the HubSpot tool sets to help their clients succeed online. The best HubSpot partners stand out in the crowd because of their added reputation and their ability to deliver results. HubSpot certification – the work to become certified insures that you are working with a knowledgeable partner that can perform the work according to HubSpot’s best practices. 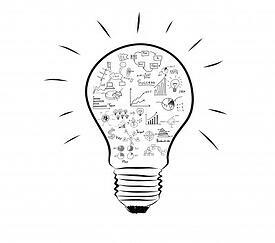 New ideas – the marketing firm should be ready to offer new suggestions and insights to give your marketing strategy a breath of fresh air. Be open minded to some of the ideas regarding blogs and give them a try to see how they go. Clear methodology – your blogging partner should have a clear process in place to generate blogs on a regular basis that help you to build your customer base. 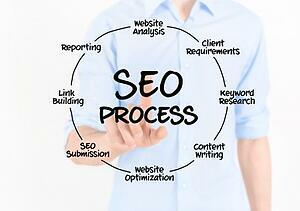 The steps should always include search engine optimization (SEO) as well as a review of your target audience. Key performance metrics – every reputable marketing firm should provide a report card that lets you know how well their services are performing. The metrics that are used should be agreed upon by both you and the firm. Some metrics may include overall web page visitors, leads generated, conversion rate, and comparisons to your target audience profile. Communication – your blogging partner should follow up extensively to make sure they are meeting your needs. From the beginning of the project there should be dialogue around understanding your business and your marketing plan. Then, throughout the process, updates and information should be exchanged to keep the momentum moving in the right direction. Seldon Marketing is HubSpot certified and has a longstanding reputation for generating highly effective blogs. When you are looking for the best HubSpot partners, turn to Seldon Marketing. 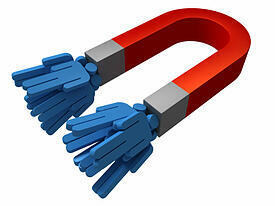 Pay per click is a terrific method to quickly boost your traffic and attract specific types of leads for your business. For years pay per click (PPC) has been used successfully to launch new businesses, introduce new products or services, or expand territory. Marketing professionals should be cautious, however. Without proper PPC budget management, you could find yourself on the bad side of PPC. Some PPC companies are simply in it for the money. The presentation may be attractive, but the PPC firm may take your payments and not follow through to make sure your expectations are being met. PPC can get out of control. You can go overboard with unnecessary PPC keywords and phrases. It is important to manage what you pay for on a regular basis and update the information routinely. This can mean a weekly or monthly review at a minimum. Return on your PPC investment can fail if mismanaged. Keeping a close eye on how your PPC initiatives perform is key to making sure you achieve the goals you set. Routine follow up and analysis reports should provide timely insights to make sure the PPC project is on track. To make sure you have the best PPC budget management, work with a marketing services firm that not only understands how to implement PPC effectively, but will also work with you to stay within budget to achieve your marketing goals. Seldon Marketing has the expertise and tools to launch a PPC initiative from scratch or to take over an existing PPC project and turn it around to be successful. The key to Seldon Marketing’s success is their ability to work one-on-one with businesses to make sure the project is well managed, achieves the goals, and stays within budget. 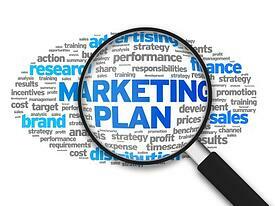 Regular follow up and analysis reporting are keystones of the Seldon Marketing advantage. In 2014, Forbes magazine noted some of the top SEO experts in the United States, many of whom work for or run some very successful firms. Some of the notable firms include SEOMoz, Copyblogger, KISSMetrics, Seer Interactive, and others. 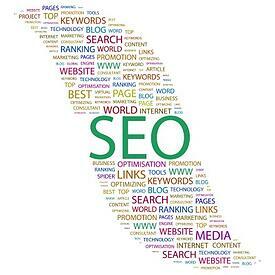 Seldon Marketing can easily be ranked as a top United States SEO agency as well. Adaptive methodology – show the ability to adapt to the client’s specific needs and tailor a set of services that will be within budget while still providing a successful solution. Strong technical skills – understand clearly the technology behind search engine optimization, including the use of on page optimization, off page optimization, and web site structure. Solid experience – present a proven track record of successful SEO implementations and use that knowledge to help your new clients. Marketing knowledge – in the end, SEO is a component of marketing and should be treated as such. Understanding how SEO fits into a marketing plan is an essential part of achieving success for any venture. Communication – throughout the SEO implementation, there should be a steady stream of communication between the firm and the client. A clear understanding of the current status and any open issues should be known to both parties. Follow up – SEO work requires ongoing tuning and management. Your SEO agency should routinely provide reports and analytics information to support any changes and to track the success of the current SEO settings. Best practices and benchmarking – your SEO agency should share with you the information for best practices, including the appropriate metrics to measure success. Additionally, a method of benchmarking against similar industries or even competitors should be available to help you determine the best approach. There are many SEO firms in the US. But when you need the right United States SEO agency to help you succeed in a very competitive market, Seldon Marketing is the firm to call first. But the effort involved in generating blogs on a regular basis can be quite time consuming for small and medium businesses. There often just is not enough time in the day to write and publish quality blogs while also running a business. Blogging companies can help keep your blog producing content regularly, which allows the employees you would otherwise have writing your content to focus on their main job. Finding top blogging companies can be a bit difficult, unless you know some of the key steps to find the best. Don’t be fooled by the quick-fix agencies that can churn out a lot of meaningless blogs. Start with the basics – your blogging firm should take time to get to know your business and your marketing plan. This basic first step can let you know right away whether or not the firm is right for you. 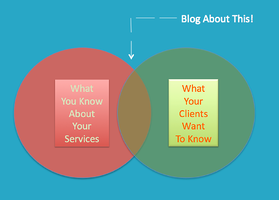 Comprehensive services – blogging involves more than just cobbling together some articles. There should be research that includes search engine optimization (SEO) keywords and phrases that coincide with your marketing campaign, social media usage, email incorporation, and more. Make sure the firm can provide the services that you need. SEO – the work involved with SEO should be ongoing and part of a routine blog schedule. By fine tuning your SEO, you can get continuous improvements in visitor traffic and conversion rates. Individualized plans – your blogging company should be able to assemble a suite of services that is based around your specific marketing goals and your marketing budget. Beware of companies that have bundled packages and are not flexible in adapting to your needs. For business conducted in the United States, the right marketing approach is essential. Part of the marketing tactics should include search engine optimization (SEO) as well as other inbound marketing techniques. To find the most successful United States SEO company, you should look for experts in SEO and inbound marketing. Enriched content – using content that is high quality and which leverages SEO can make a huge difference in the success of your marketing plan. Make sure the content is relevant to your business and is not just filled with meaningless keywords and phrases. Search engine providers such as Google, Bing, and Yahoo have sophisticated algorithms that will look for relevancy, and if it is not found, your search ranking will be dropped. This means when potential clients search for your type of product or service you will be less likely to appear near the top. Publish options – your content should be made available on your company web pages, but it can also be used as part of social media sites such as Facebook, Twitter, LinkedIn, Instagram, and other places. Content can be used with email newsletters, blog posts, and e-books to help establish your company as an authoritative source. Key performance metrics – the best SEO companies will provide reports and metrics indicating the success of your initiatives. This information can include the number of web page visitors, lead generation statistics, conversion rates, and important demographic information. This data can then be compared to your target audience profile to determine if further tuning is needed to get the most return on your marketing investment. Seldon Marketing is among the most successful SEO companies in the United States. To get your products or services moving in the United States, Seldon Marketing can tailor a suite of services that will help you to meet your marketing goals while staying within your marketing budget requirements. From e-books to blogs, newsletters to web page content, Seldon Marketing can utilize SEO and other inbound marketing to deliver results. 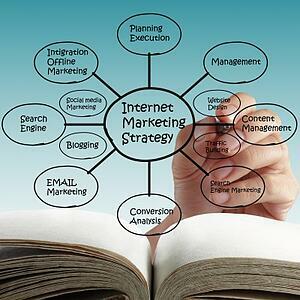 There is more to internet marketing than meets the eye. There was a time when just counting the number of page hits would suffice. Those days are long gone, and there is more to come in the world of online marketing. Stronger SEO – search engine providers such as Google, Bing, and Yahoo are all adding more complexity to their algorithms. Having just a few keywords repeated on your web site is no longer acceptable – as a matter of fact it could be detrimental to your search rankings. Your search engine optimization should be an ongoing routine that regularly updates content on your web pages and makes sure the information is relevant and logical for the products or services that you provide. Going mobile – the number of people who utilize smartphones and tablets to search and order online is increasing exponentially. Business web pages must be mobile-ready so the smaller screens and different search routines function properly. Video power – the graphics and videos that are used online are becoming even more important. Having a professional firm to help with the design and implementation of videos and graphics is a wise investment. Social media – the influence of social media sites such as Facebook, Pinterest, Twitter, LinkedIn, Instagram, and others is indisputable. Your marketing strategy should include how you plan to incorporate social media for lead generation and what processes should be in place to monitor social media activities. Customer retention – thanks to online capabilities, you can lose customers even faster than before. The good news is you can also gain customers quickly through an aggressive inbound marketing plan. With insights into best practices and the ability to benchmark against other industries or competitors, you can understand customer behavior and create a retention plan to keep your clients coming back. For the best internet marketing approach, you should consult with a marketing service provider with experience and the ability to tailor a plan to meet your needs and budget. 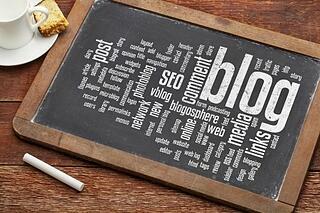 Blogs can be a powerful marketing tool when utilized properly. Many businesses believe that the “do it yourself” blogs are acceptable, but there are some sophisticated ways to make a blog even more effective. There are NYC blogging services available that can help businesses in and around New York City to boost their marketing success. 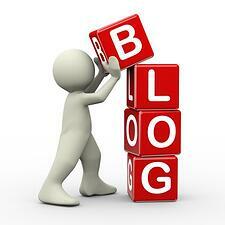 Seldon Marketing is the premier provider for NYC blogging services. The Seldon Marketing methodology is based around creating the best content that is tailored to your business. The content can include e-books, email newsletters, web pages, and blogs that generate leads with high conversion rates. Focus on the target audience – take time to understand the business and develop a strong target persona that includes demographic details as well as habits, hobbies, purchasing trends, complimentary businesses, and more. 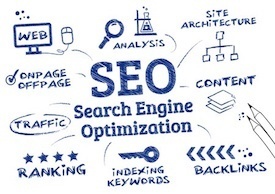 Strong SEO – search engine optimization does not end with just one round of research. There is regular tuning and refinement that should take place to make sure your business “dials in” to the potential customers and attracts their attention. Rich content – blogs should be highly informative so that your business is considered an authoritative source in your particular industry. In addition to informing the readers, the content should be lively and entertaining to capture attention and provoke action. Proper promotion – once your blog is published, the work to promote the blog should begin. 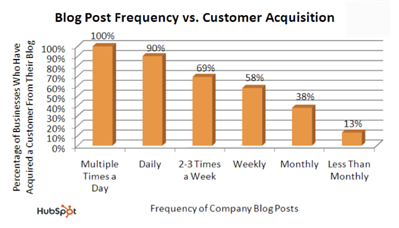 Leverage your blog on Facebook posts, LinkedIn articles, Twitter posts and other social media sites. You blog can also be part of email newsletters and industry forums, but should be produced in such a way that they do not feel like a sales pitch. Statistics – Seldon Marketing uses key performance indicators to determine the success of your blogs and other marketing initiatives. Some KPI’s can include the number of visitors, leads generated, email subscribers, conversion rates, and more. Best of all, the team at Seldon Marketing understands that all businesses are in some way unique, which is why they tailor an approach and set of services around your specific business needs and budget.